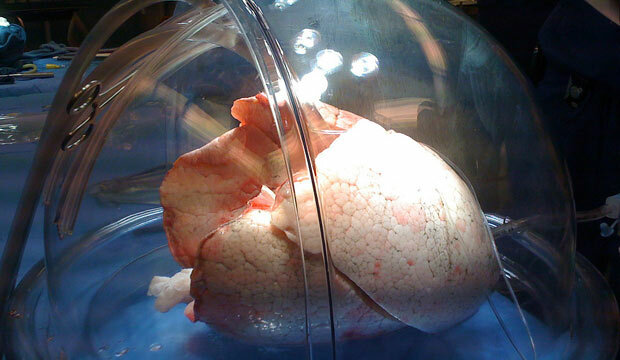 “Lung washing” is keeping donated lungs alive longer. In the United States, more than 1,600 people are on the standby list for lung transplants, and they could be in for a wait of two years because of the extreme shortage of viable donor lungs. Just 15% to 20% of donated lungs are fit to transplant. The others either are injured by the trauma that killed the donor or deteriorate while the donor is on life support. Yet a procedure called ex vivo lung perfusion—already performed in Europe and Canada, though still considered experimental in the United States—may help repair as many as 40% of donated lungs that are now rejected as candidates for transplant. A 2013 study in Italy found a 30% increase in lung transplants using the procedure. That was a smaller improvement than expected but still promising. During “lung washing,” donor lungs are removed from the body and connected to a cardiopulmonary pump and ventilator, which sends nutrients, proteins and oxygen through the blood vessels as the lungs inflate and deflate for three to six hours. The procedure is now being tested in a large clinical trial at multiple medical centers in the United States, with results expected in mid-2014. Joseph Vacanti explains the limitless potential of tissue engineering. Three physician bloggers consider where social media and medicine meet. Epidemiologist Carolyn Greene on the potential benefits of using electronic health records to monitor public health.